You're a Guy With Long Hair, So You Must Be Gay? Milky white skin, beautiful long eyelashes, silky black/chestnut/blonde hair — what a beautiful girl. Or guy. If you’ve ever had a discussion about K-pop with someone who isn’t too familiar with the culture, perhaps the question “Are they gay?” has popped out once or twice. And even though I’m sure everyone has heard the idiom, “Don’t judge a book by its cover,” the opinions formed here are most likely based on appearances. Westerners may develop biases due to the differences in culture, but the same explanation can’t be used as the universal excuse for individuals born and raised in Korea. So what explains the situation when a Korean native asks the same question? When I first debuted, I sported long hair, and as a new singer, I was quite shy. A senior female singer asked me if I liked boys. That made me sad. First of all, I’m sure we all understand how Jung-shin felt “sad” due to this rumor. And when bandmate Lee Jong-hyun added on during Hello that the reports made the members feel uncomfortable around Jung-shin, we must sympathize too. Because it’s uncomfortable for straight men to be around gay men. Because, I’m assuming, they’re afraid the latter will develop feelings or try something with them? Poor straight men; it must be intolerable for them to be around so many straight women everyday too. 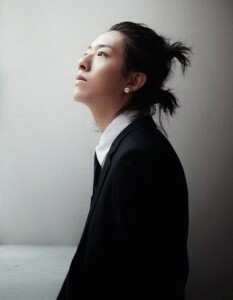 Back to Jung-shin’s hair. From the bassist’s words on the two shows, it’s clear that a good number of netizens and entertainers alike have similar conceptions in Korea — long hair on a man’s head is a flashing red light indicating that he’s gay. Jung-shin’s not the only one to have his sexuality questioned by the public because of his appearance. On Google, Nu’est‘s Ren and f(x)‘s Amber have the word “gay” come up next to their names quicker than Jung-shin. And what a coincidence — their top searched keywords also include “girl” for Ren and “boy” for Amber. A long list of other mostly male celebrities experience similar situations on a regular basis as well. Since the end of the 1990s, the concept of flower boys has undoubted influenced the general opinion of masculinity in Korean and around Asia. Women have expressed more favoritism towards this style of men, so a sizable portion of male K-pop idols have gone down this path. However, most of the time, the hairstyles, styling, and images of celebrities are determined by their companies and not the artists themselves. SM Entertainment reported SHINee‘s Taemin to have wanted long hair to give off a more bohemian look for Sherlock, but we’ll never know if he really made this request personally. Likewise, we shouldn’t judge other celebrities on their looks either. The Korean film industry has explored homosexuality more in the past twenty years, and has thus added to the stereotypical image of a gay man as well. Although not always the case, a number of characters have been filtered through a feminine light. As the project that catapulted Lee Jun-ki to fame, critically acclaimed The King and the Clown portrayed the actor’s character as a man who wins the affections of two fellow males. 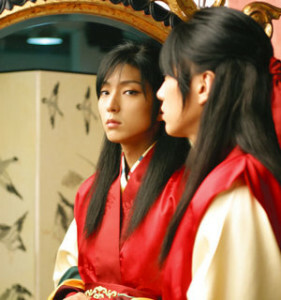 Although long hair was a basic for men of the Joseon dynasty, Lee Jun-ki’s character also wore warm-toned makeup and winged eyeliner. His overall aura and actions were also quite passive, greatly contrasting the relatively more masculine appearances of his two admirers. The success of this movie most likely helped implement into many viewers’ minds the idea that a homosexual relationship between males needs at least one effeminate member. Similarly, when model Kim Jae-wook played a gay pâtissier in the 2008 film Antique, his character stood out partially due to his long locks. The actor also expressed in an interview how difficult it was to portray his character’s “gay tendencies” naturally, implying the fact that homosexual individuals must be different in some way from heterosexuals. Consequently, when audiences see for themselves that, onscreen, these stereotypically “different” men are homosexual, it becomes easier to stick with the conception in the real world. As a counter-example, however, just take a look at the most famous gay celebrity in Korea for the past decade and a half, Hong Seok-cheon. 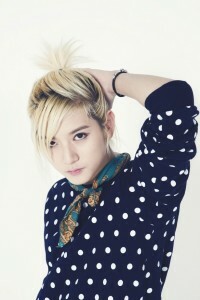 He has no hair at all and his features contrast with Jung-shin’s and Ren’s. 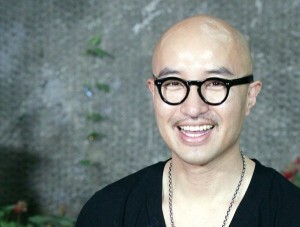 Even after a search of “Hong Seok-cheon with hair,” the closest I can get is the man in a Jack Sparrow wig. If we were to purely consider the assumptions used to label Jung-shin as gay, then Hong Seok-cheon would the quite far from this definition. Of course, it’s completely possible that some of these appearance-based speculations are true. After all, I doubt there are many Korean entertainers would be willing to openly admit their homosexuality knowing the consequences they must face afterwards, so waving them off may be the perfect cover. Whatever the case, there’s still no need to come to conclusions purely based on the length of a person’s hair. So who wants to fly over to Korea (and stop by a few other places on the way) and spread the word that The Beatles had long hair too?